During April I seem to have gone through quite a few products, some I would repurchase while others I'd not. Elemis - Softly Softly Moisturiser - This was something I won, it left my face quite shiny and it wouldn't be something I would go out of the way to buy. W7 - Black - I really like this, it is nicely pigmented and cheap. I need to get a new one [swatch]. Stargazer - Silver Chrome - This was my go-to silver for stamping, I couldn't find a new one so ended up replacing it with the Barry M Silver Foil [swatch]. TIPS - Cuticle Oil - Something else I won a while back, I have another one so won't be repurchasing at the moment. 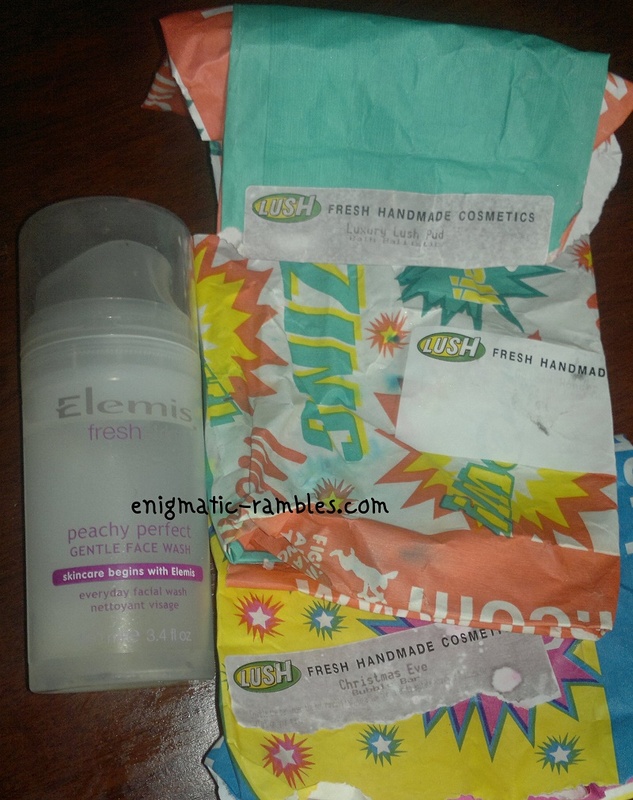 Elemis - Peachy Perfect - Face Wash - Another thing I won, I liked this is was a really nice everyday face wash. A bit too expensive for me to go and purchase though [full review]. Lush - Luxury Lush Pud - Bath Ballistic - I much preferred this one to the previous years versions, this was purple rather than brown. Not sure if I would try this one again if it were released again. Lush - Golden Wonder - Bath Ballistic - I used this over 3 or 4 baths, it was nice but had some golden shimmer in it which would put me off from trying it again if re-released. Lush - Christmas Eve - Bubble Bar - Another one I used over multiple baths, I liked it but didn't find it to be that amazing that I would want to re-purchase it [review]. Batiste - Graffiti - Dry Shampoo - The scent of this one was quite musky and overpowering, while it worked the same as the other Batiste dry shampoos, the scent is too strong for me to repurchase it. 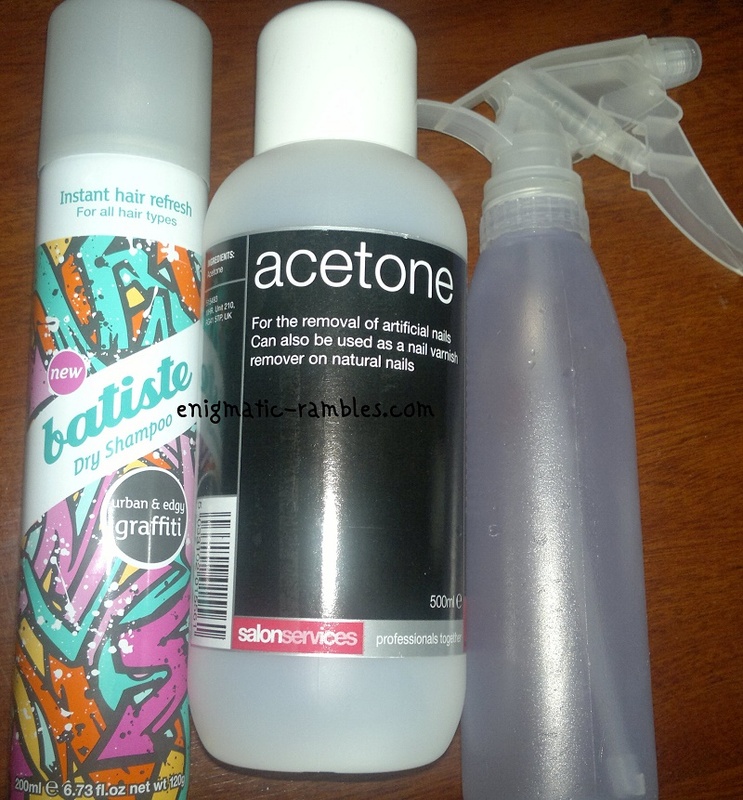 Sally's - Acetone - Nothing much to say about this, its cheap and works great. Something I will continue to repurchase. Soap and Glory - Mist You Madly - I got this a while back and managed to smash the top of the bottle so ended up putting it in this spray bottle. The scent was nice but it didn't stay for very long, I won't repurchase this as I prefer a perfume over a body spray.